We all know winter weather is unpredictable; we rarely know how mild or wild the winter season will be. Nature can unleash her fury when least expected. Preparing our homes for variations in weather is one of the prime challenges of home ownership. Browse the helpful information below, even if you thought you covered everything before winter. Do your due diligence now, if you haven’t, since we’re in the throes of winter and dipping temperatures. We asked a handful of our winter-weather experts for their favorite tips to get us through the season with less stress and fewer costly repairs. Insulate garage doors. Studies have shown that replacing an uninsulated garage door with an insulated one can reduce heat loss through the garage by more than 70 percent. A severe snowstorm may also easily knock out power for days, leaving you with no electricity to run your garage door opener. Instead of taking the risk of being trapped inside, consider a battery back-up system for your garage door opener. Overhead Door™ Brand offers Theremacore® Insulated steel garage doors that reduce air infiltration and come in many design options. Thermacore® Model 195 gives homeowners a sleek look with maximum light infiltration, and ranges between $1,300 and $4,400 for a standard size of 16 feet wide by 7 feet high door with an all-window option on the upper end. The battery back-up system depends on the garage opener you have so prices may vary. Overhead Door garage openers that come with the back-up system cost about $450. Keep warm air inside. 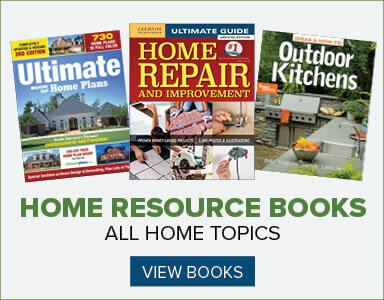 Close heating vents and shut doors to keep heat within rooms that are used most rather than spread the heat throughout the house, says Cheryl Nelson, a natural disaster preparedness expert and advisor to Cummins Generators, based in Minneapolis. If you use space heaters, be sure they work properly, and turn them off when you leave a room, Nelson says. If the weather gets really cold, let faucets drip and open cabinet doors by sinks to let warm air circulate. Also leave electrical panel doors and closets in basements open to keep them warm as well. Invest in a programmable thermostat. Such devices are relatively inexpensive. Nest Learning Thermostats are about $250.00 and can be programmed to a temperature you like. The system knows when you leave your home, so it will drop the temperature to save energy. It also can be programmed from a smartphone or tablet, so you can do so when away from your home and then raise the temperature when you’re about to return home. Smart-home thermostats may save up to 20 percent and more since they help you run your HVAC system more efficiently. For example, if you are paying $2,000 a year on gas and electric, you could save between $300 and $400 annually by installing a smart thermostat. Consider an outside generator. How large and costly it is will depend on the size of your home and how many rooms you want to be able to heat. You may limit this to a bedroom, one bathroom and kitchen. 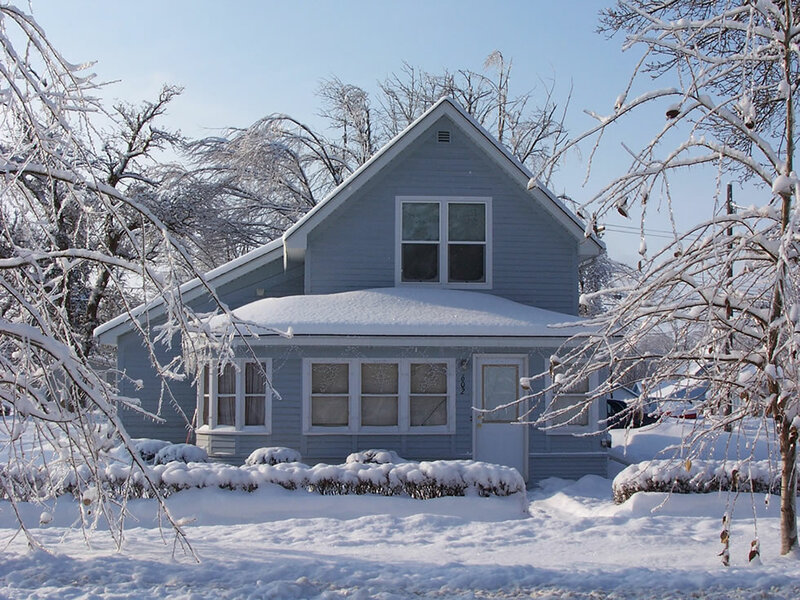 A good system will start operating the moment your power goes off and keep the home warm, so you can remain at home during storms that cause power outages. Always have a professional install a generator and locate it a few feet from the home and atop a concrete slab. Costs will vary widely, from as little as $2,400 for a 1,400-square-foot home to around $11,000 for a 4,000-square-foot house. This does not include installation, shipping and taxes, which vary by location, Nelson says. Have the professional return each year to inspect the system to ensure it’s operating properly. Most systems will last about 10 years. Protect pipes in your home. To protect pipes in your house, you should insulate them well by wrapping them with a protective material, which any well-stocked hardware or big-box home improvement store can recommend. This is especially important in basements, crawl spaces, attics and garages, according to Chubb’s Personal Risk Services. Some prefer heated plumbing tape or a cable that automatically turn on when temperatures approach the freezing mark. Inspect gas lines and furnaces. Your HVAC professional can perform a variety of diagnostics to be sure systems are functioning correctly, says Don Conway, president of Plumbing, Heating and Cooling Contractors, Long Island, and owner of Essex Plumbing and Heating, Wantagh, N.Y. You might want to have a service contract, which insures your HVAC system is checked twice a year – when it’s hot and time to turn on the AC, and when it’s cold and time to turn on the heat. Keep track of the age of your HVAC system, as systems become less efficient as they age and older units can increase your utility costs significantly. When replacing HVAC systems, always opt for the most efficient models. They conserve energy and save money over time. If you heat with gas, ask your inspector to check for gas leaks as well, Nelson says. Seal windows and doors. Caulk cracks around your window and door openings and cover older windows and doors with a plastic insulator product, such as the 3M Window Insulator Kit. You may not like the look, but it will help retain heat and keep out cold air, Nelson says. Also, at night, always close blinds and curtains to keep in heat. Check for holes or drafts and caulk and seal both at the base of windows and doors all around your home. Add insulation in the attic and basement. Many older homes have little or no insulation in these places. Adding insulation to walls and floors can make a big difference in winter to conserve heat and also in summer to keep cool air in, according to the experts at Chubb Personal Risk Services. Many insulation products are also green, so do your homework if sustainability matters to you. Turn off outside water connections and disconnect hoses. Be sure hoses and valves don’t have water left in them which might freeze, expand and burst inside the home. Also, it’s a smart investment to buy frost-free spigots. These protect your water supply from the elements and freezing temperatures, making lines far less likely to freeze when water stops on the inside, Nelson says. Inside your home you want to have isolated valves on faucets, so each one can be turned off separately. Pack an emergency kit. Ideally, each home owner should have a large kit packed and ready to go. What it should contain includes; a snow shovel, ice scraper and brush, bag of rock salt, several cans of nonperishable food with an old-fashioned can opened, 1 gallon of water per person for at least three days, a battery-free radio, toiletries and medications for each member of the household (including pets), a blanket for each person, warm change of clothing, flashlight and extra batteries and copies of important health and legal documents. The American Red Cross offers kits already assembled with essential items. You don’t want to be stranded in the cold. You should also keep your vehicle filled with gasoline in case you must leave and drive a long distance to find a safe and warm dwelling. Hire a handyperson if you leave your house in winter, and weigh updated smart technology products. Find someone local you trust and who is willing to check on your home if you’re gone for long periods. When you least expect it, your pipes may freeze, so having someone check may keep water dripping from faucets. In addition, consider installing smart technology systems to monitor or control thermostats, back-up generators, etc. Water leak detection systems can shut off water if a leak occurs and low-temperature sensors send alerts or alarms if temperatures approach the freezing level, according to Chubb Personal Risk Services.